For around 6 months I was suffering with severe pain in my back and leg due to an unknown cause. This took over my whole life and stopped me going to school at times and affected my football and sports. During that 6 month period, my dad took me to the doctors on about 5 occasions and was given painkillers and anti-inflammatory medication to try and treat the symptoms. In hind sight, this covered up the problem but at the same time allowed the tumour to grow inside my body. A few times I was taken for physio by my dad and was treated as if I had a muscular isssue. For this I was shown many different stretches and exercises to perform however nothing seemed to change which is why I got extremely frustrated. After yet another visit to my GP, we were referred for an MRI scan which had a waiting time of up to 13 weeks. After enduring 8 weeks of pain, my Dad chased up the appointment to find that it was still going to be a 6-8 week wait. During a period of excruciating pain, we decided to go to A&E to see if they could do anything to help. It turns out I was scanned that very day to be told I had a large tumour on my pelvis, this was July 5th. This then showed a tumor in the bone which was later diagnosed to be a cancerous Ewing's Sarcoma (a form of primary bone cancer). Other scans also showed that it had spread to another area which was my right shoulder. This all came as a massive shock due to the fact that this never even crossed my mind to affect me at the age of 15. Before any action was taken, the actual size of the tumour I had been carrying was the size of a bag of sugar! 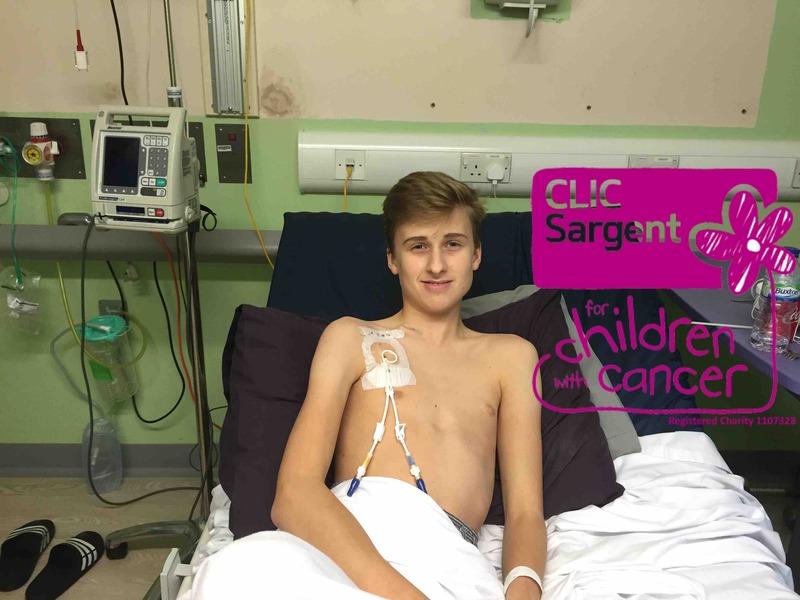 The outlook on these types of tumours is not good, so I want to dedicate my time during treatment and hopefully remission to support the charity CLIC Sargent. The reason for this is because they've provided help for not only me but also my family in that they've supplied very homely accommodation for lengthy hospital stays and supportive, knowledgeable and kind nurses to aid me through my treatment. I feel like fundraising will give back to the charity as much as they've given to me. Goal was smashed days ago with money still coming in which I am grateful for. This campaign will be ending on Monday with a cheque being handed over to the CLIC Sargent representative which will mean a new journey and task. A new page will shortly be created however on a different platform to raise money for the local Derriford children's ward as it needs immediate help to be brought up to standard. Thanks. Having smashed the £5,000 target in 3 days, I've decided to start a new challenge with the help of various fundraisers and the coverage of Plymouth Herald. Let's do this once again! Target reached in 3 days, insane! Thank you everyone for sharing and donating, what's next to come? It has been done! 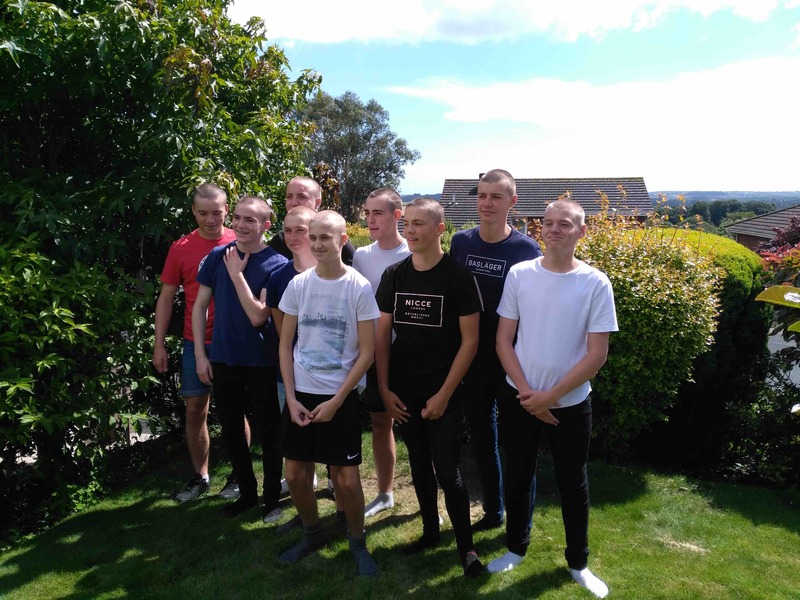 Please donate to show your support for all the lads who shaved their heads! The continued support is incredible as we fly towards our target!